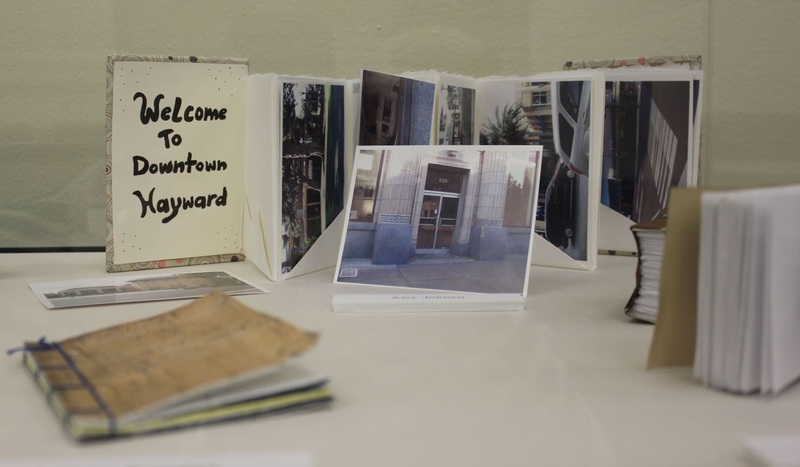 The California State University, East Bay University Libraries’ Hayward Hills is currently hosting an exhibition of artists’ books created by students during the Fall Quarter. Every year, Professor Michael Henninger brings his bookmaking classes to the Hayward Hills campus library to show students the collection of artists’ books housed in Special Collections. The students are able to handle an assortment of artists’ books and see the varied way in which artists interpret the book format, from those examples that are easily recognized as a codex to those that more closely resemble bars of chocolate or stacks of credit cards. After the visit to Special Collections, the students create their own artists’ books during the quarter. 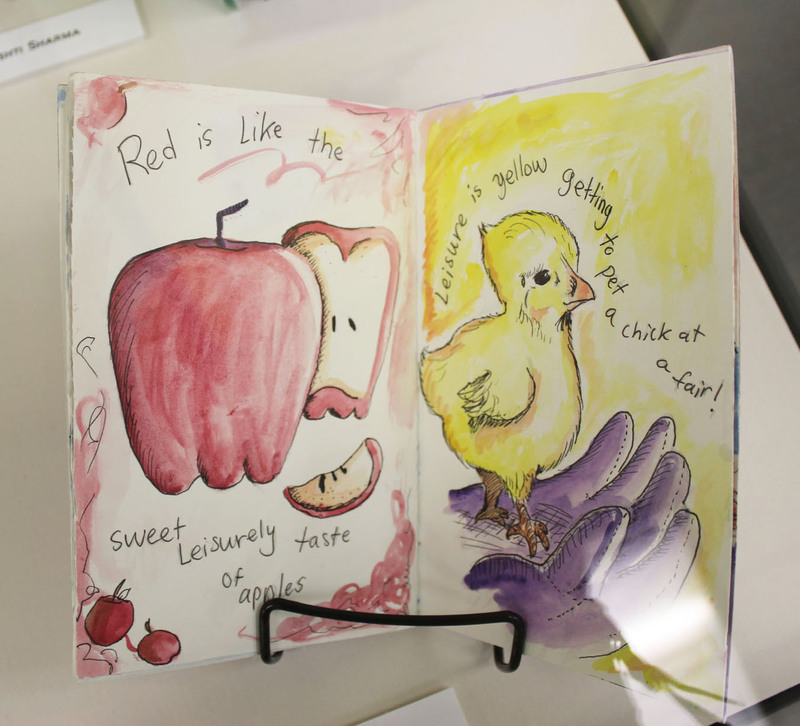 A selection of these student-created artists’ books is now on display near the Biella Room in the Hayward Hills campus library. As can be seen in this year’s exhibit, students have created beautiful, creative artists’ books showcasing many different bindings and techniques, from Japanese stab binding to flipbooks and photography to watercolor. The exhibit will run through the end of March. Come by and see the books to be inspired by the creativity of the students in the bookmaking classes. If you are inspired by the students’ creations and would like to see more artists’ books, please contact Diana Wakimoto at diana.wakimoto@csueastbay.edu to schedule an appointment.